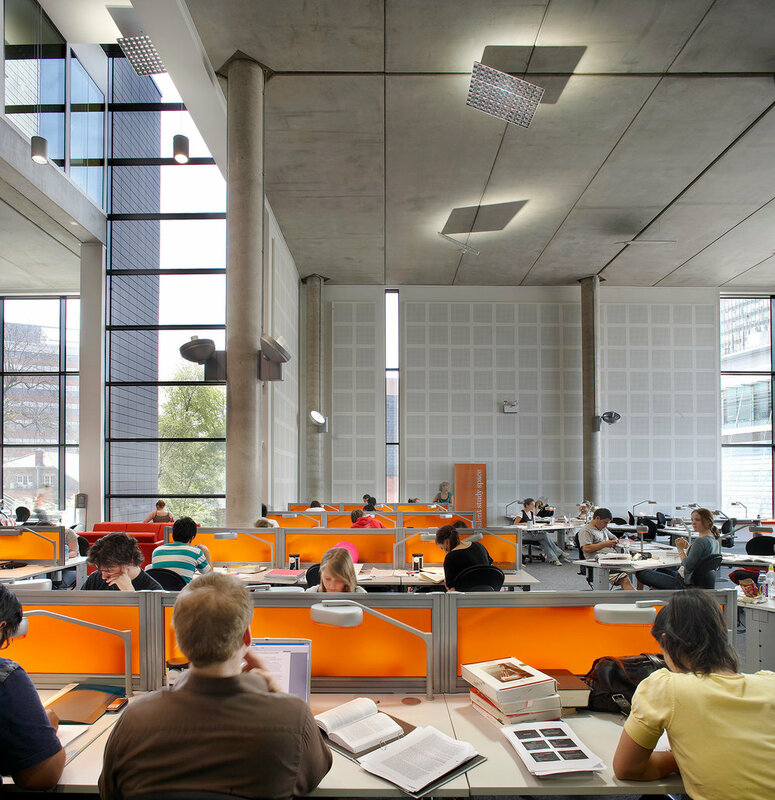 Information Commons is a, 24/7 facility, which provides 11,500m2 of mixed-use learning teaching space and accommodates 1,350 study spaces, along with staff offices, a reference and loan book collection and cafe. 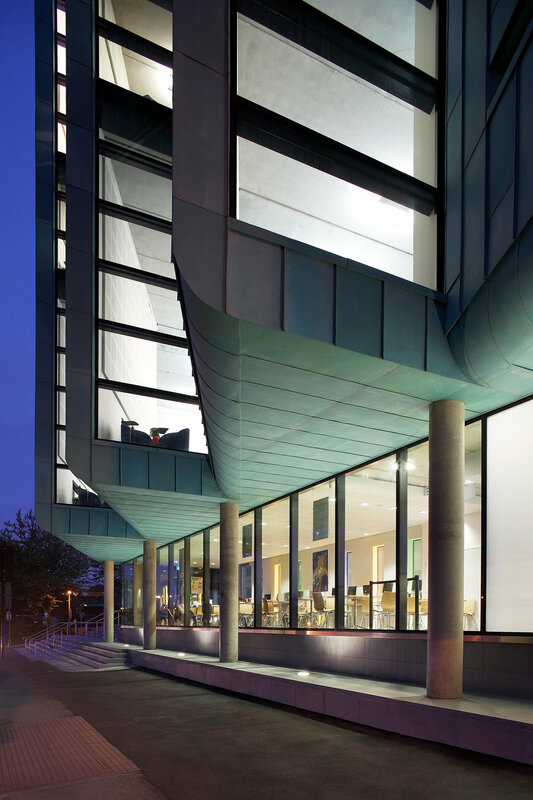 As a focal point for the campus and the undergraduate student community, it was critical to explore how the building could project an appropriate image for the University: it had to be confident, innovative and dynamic, but at the same time be welcoming and legible to users. 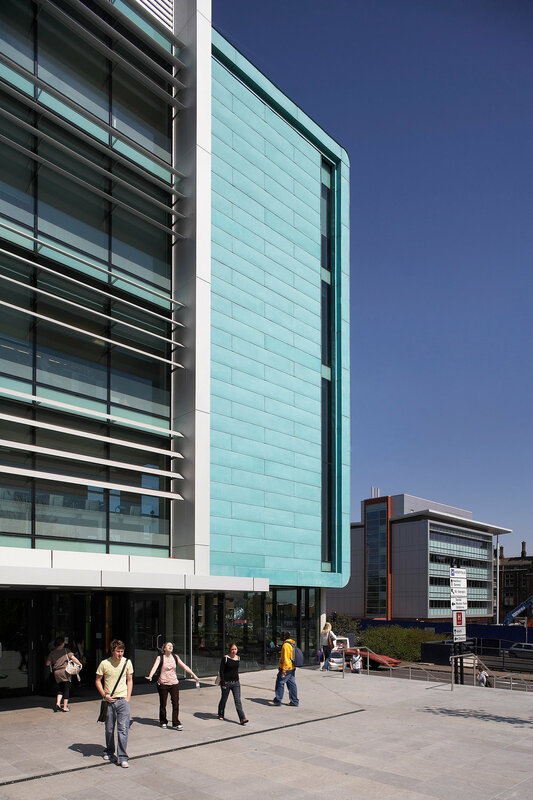 The building has been a great success with students since opening its doors in 2007 and has become a place which effectively bridges the gap between a social and study environment. 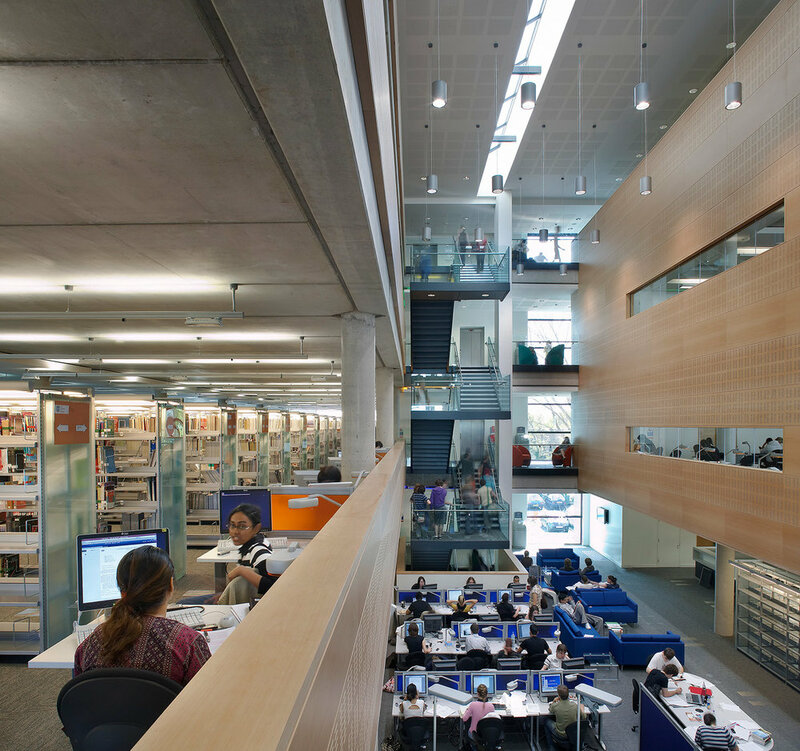 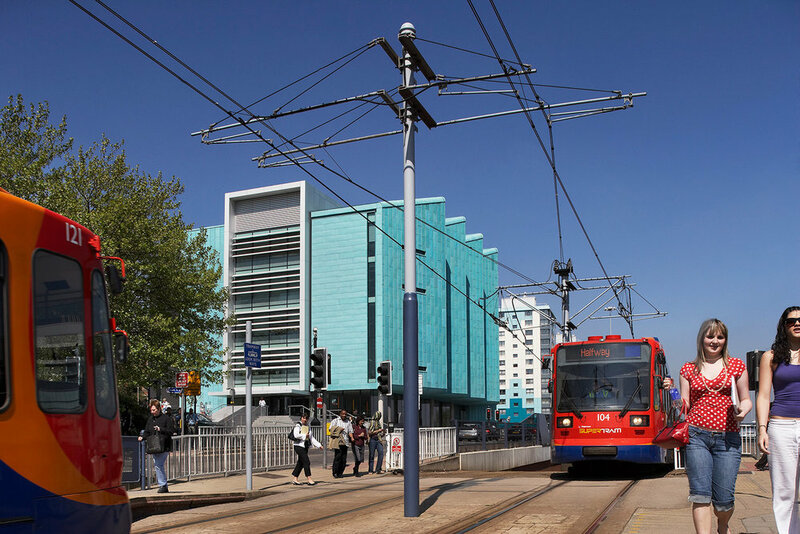 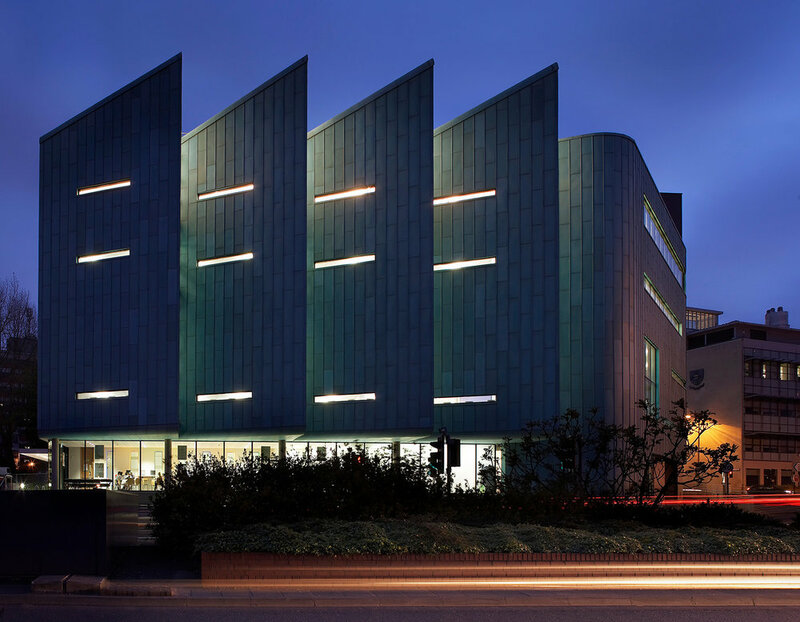 The Information Commons building is situated in the heart of the University of Sheffield's urban campus, which was the subject of a Development Framework study we carried out in 2002/3.